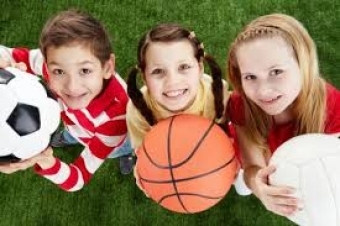 In 2012, more than 1.3 million kids went to the ER with sports injuries in the United States. Football injuries were in the lead, followed by basketball, soccer, and baseball, with the most injured body parts being the ankle, head, finger, and face. Here in Canada, sports injuries are a leading cause of injuries requiring medical attention amongst adolescents. Sports injuries account for 50% of all injuries for high school students (age 14-18) and 30-40% of junior high students (age 11-14) with ankle and knee accounting for 35-40% of injuries. Physical activity is a key element to a child’s enjoyment, growth and health. As children increase their involvement in competitive sports and participate in multiple sport activities, more time is spent training, and as a result sports-related injuries have increased. It is important to understand what happens to a child’s musculoskeletal (muscle and bone) system as a child grows. Naturally a key area of concern that differs from adults is the epiphyseal plates, also known as growth plates. Because the plates are weaker and less elastic than the tendons and ligaments that attach to the bone, children often break bones instead of injure ligaments. Because bones in a child are continually growing, children heal faster. The statement that you may have heard or found yourself saying, “I don’t heal as fast the older I get,” is true! Types of injuries are generally acute or repetitive in nature. Overuse injuries occur from repetitive application of repeated stress to normal tissue. This is common in organized sports when overtraining occurs. Excessive levels of physical activity can increase the risk of injury, which, if not treated properly, can affect normal growth and maturation, including limb length discrepancy, angular deformity, and altered joint mechanics. When dealing with potential injuries prevention is key! It is important to identify risks early and modify the training program to prevent injuries, which can minimize time lost from a sport. Stretching can both prevent and protect from these risks. A stress fracture is repeated stress to bone, which eventually fails. A stress fracture may be tender to touch at an isolated spot. Vibrating tuning fork to the area aggravates pain. Activity modification is necessary. Sometimes a stress fracture will not heal until the offending stresses are reduced. A shoulder injury results from repetitive overhead activities that irritate the front capsule of the shoulder and surrounding muscles. It is often caused (and treated by dealing with) by muscle weakness/imbalances, capsular laxity, and scapular (shoulder blade) weakness. The most common injury in adolescent affects the extensor mechanism of the knee. For example, Osgood-Schlatter Disease, which is characterized by a painful bump just below the knee that is worse with activity and better with rest. Contusions appear in varying degrees of intensity depending on method of injury, with contact sports carrying an increased risk and prevalence. Caution and concern surrounds contusions that affect movement and function, which can result in myositis ossificans (see X-ray picture), which is the formation of bone tissue inside muscle tissue after a traumatic injury to the area. This can be treated with early immobilization in a gentle sustained stretch, followed by early mobilization to move/stretch/load the healing tissue. To help prevent injuries consider mixing up your sports each season, which will allow you to use different muscle groups. Try using your muscles in different ways to reduce repetition, and consider seeking a physiotherapy assessment for a pre-season checkup and tips for prevention and training. A physiotherapist can develop an exercise and training program specific to your needs, in addition to helping your manage your pain, and correct any imbalances you may have, thus allowing for an early return to sports and a reduced lost time from play. Sports injuries in children, Chezhiyan Shanmugam Nicola Maffulli, British Medical Bulletin, Volume 86, Issue 1, 1 June 2008, Pages 33–57 (https://academic.oup.com/bmb/article/86/1/33/378284; accessed March 19, 2018). Canadian Institutes of Health Research (CIHR) Team in Child & Youth Injury Prevention (http://childinjuryprevention.ca/our-studies/sports/background/; accessed March 21, 2018). We're always happy to accept new patients. Contact us today to book your initial consultation. Most physical ailments can be improved with the help of a physiotherapist. Ready to improve your mobility and get active? Contact Nepean Sports Medicine & Physiotherapy Centre today.